The schools, the location, and the Square are among the top reasons Marietta is one of Atlanta’s most sought-after suburbs. It is home to some of the highest ranking schools in the state. The location puts you close enough to Atlanta to enjoy all its attractions without the intown address. When it comes to Marietta Square, nothing compares to its incredible shopping and dining experiences along with the festivities held there throughout the year. Minutes from Marietta Square, Mangêt offers a unique opportunity for homebuyers searching for their new home in Marietta. If this is you, take a look at the features in our must see Mangêt homes available now. 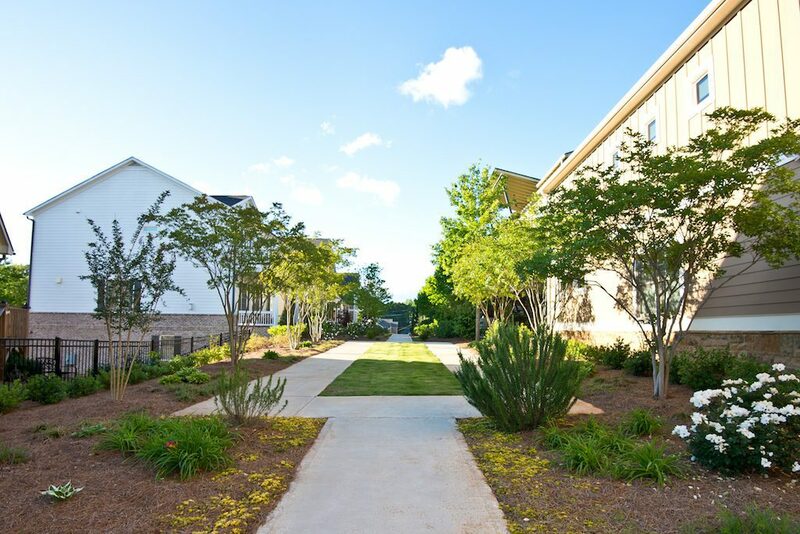 The townhomes in Mangêt sit against a beautifully landscaped fenced-in courtyard garden. With huge awning-covered front decks, this makes the perfect place for outdoor living during the warmer months. 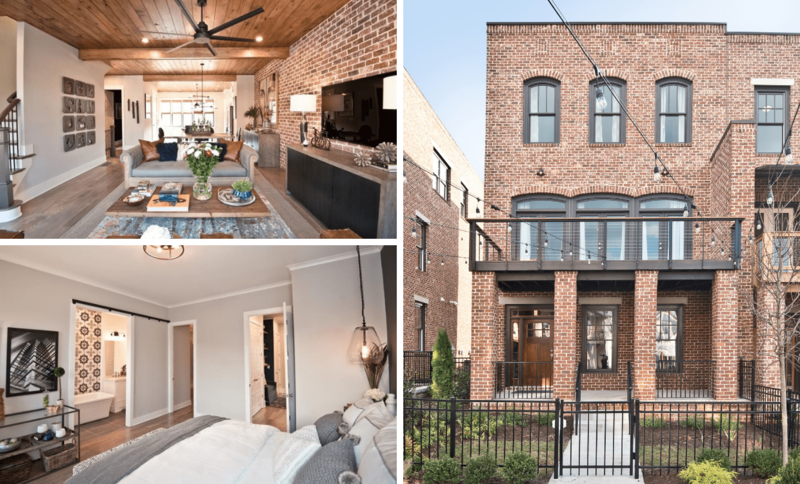 Inside these 3-story townhomes, you’ll find expansive floor plans. The open-concept gives your family the room you need to create your own comfortable living spaces. That means you can easily arrange and rearrange them to accommodate your changing lifestyle throughout the years. From the huge master suites to the spa-inspired master baths, these townhomes take luxury to the next level. Want to see more features of our available townhomes? Homesite 49 and homesite 51 are the perfect place to start. If you’re looking for a single family home, Mangêt boasts a stunning collection of floor plans to fit a variety of style preferences. From farmhouse to cozy cottage and modern designs, these 2 and 3-story homes offer spacious floor plans. These homes range in size from 3 to 5 bedroom layouts. As you tour the single family homes in Mangêt you’ll find several thoughtful details. This includes the beautiful trim work in the dining room, backsplash and stainless steel appliances in the kitchen, as well as gorgeous tile in the master bath. If this isn’t enough, many of these single family homes are also located along our mews featuring community gardens, fire pits, and open green space. Interested in exploring the styles of single family homes available now in Mangêt? 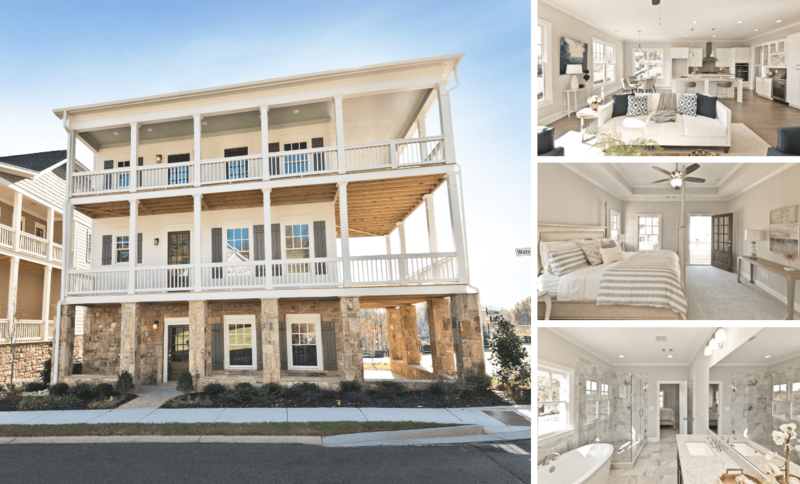 Take a look at homesite 103, homesite 2, homesite 3, homesite 5, and homesite 7 to view the variety of architectural design available in this charming community. Along with our must see Mangêt homes available now, you’re sure to enjoy the green space throughout the community. This includes both the community mews, as well as Marietta’s new Kirby Park. In this 3.37-acre park, you will find a nature trail, pedestrian bridge, covered bridge, bench swings, as well as a bocce ball court. To learn more about the homes in Mangêt or schedule your tour, contact Jacqueline Babcock at 407-792-8629.